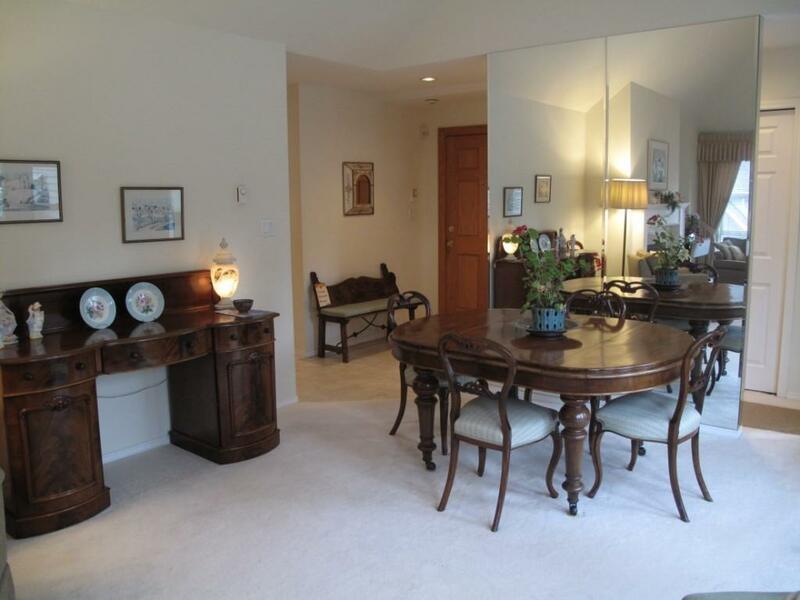 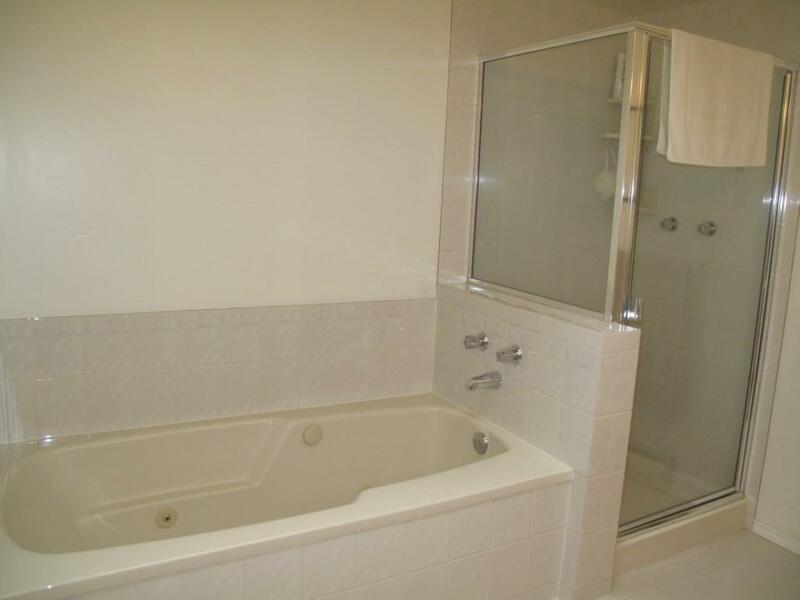 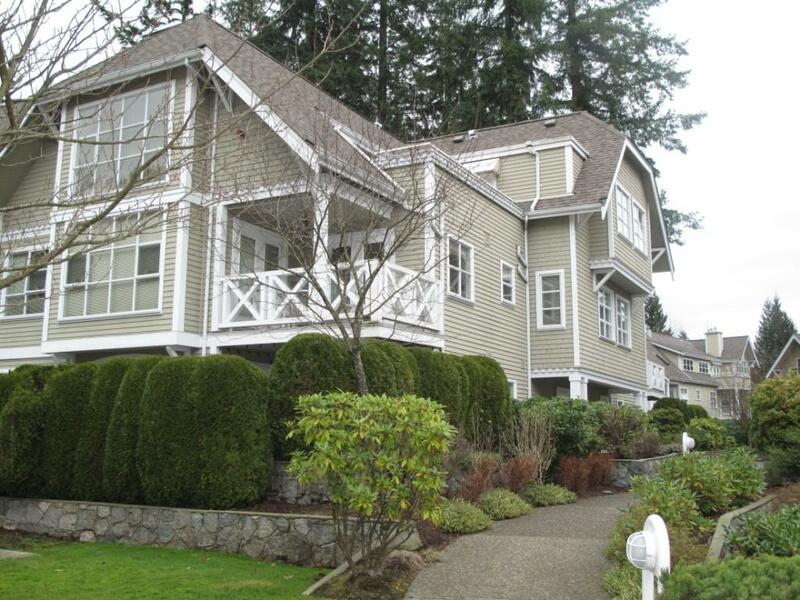 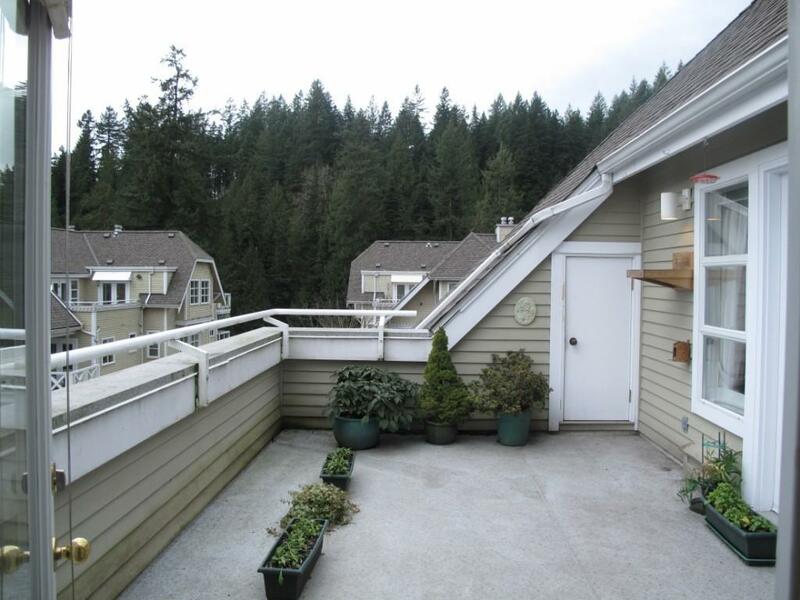 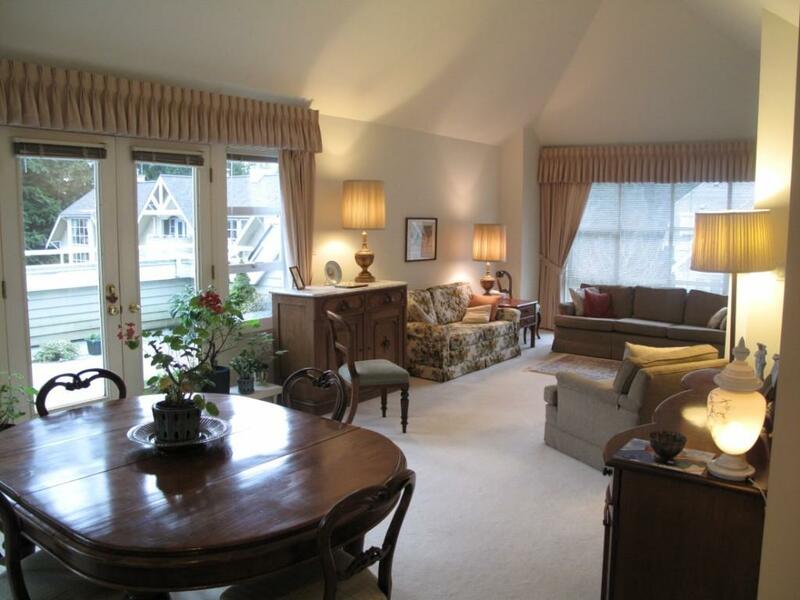 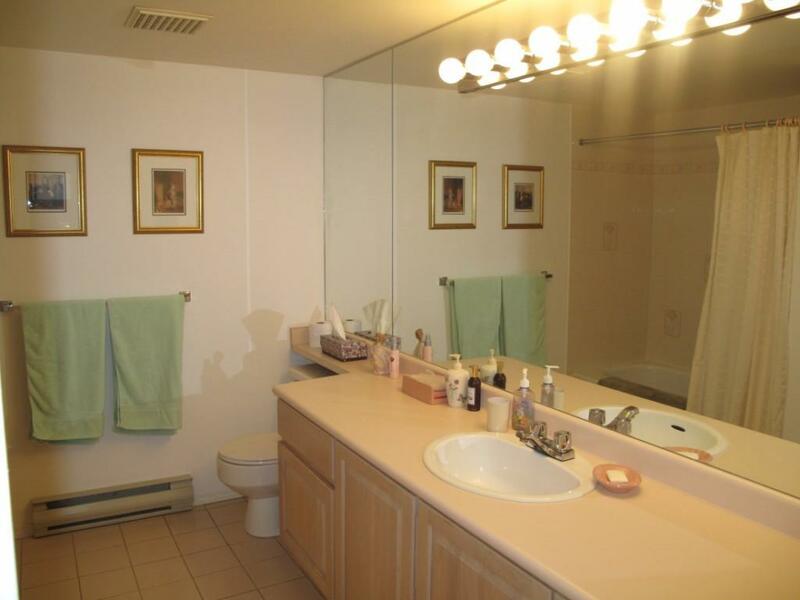 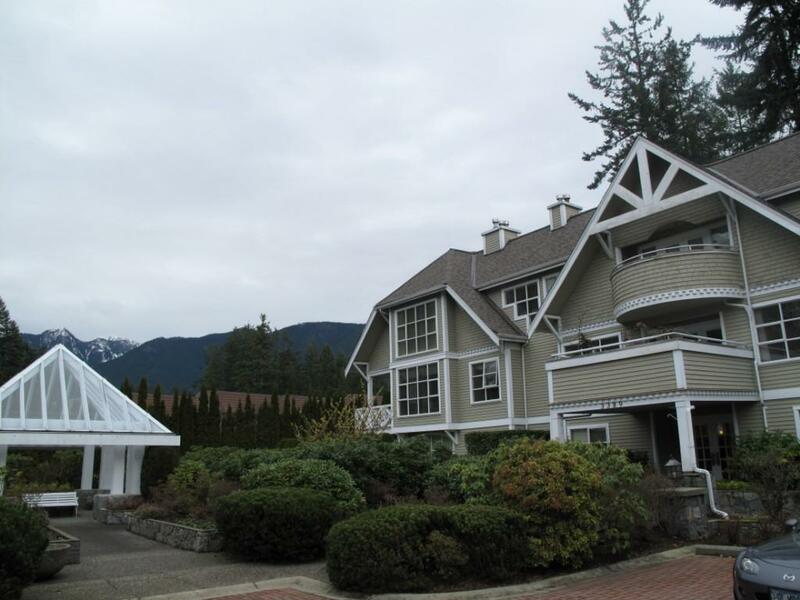 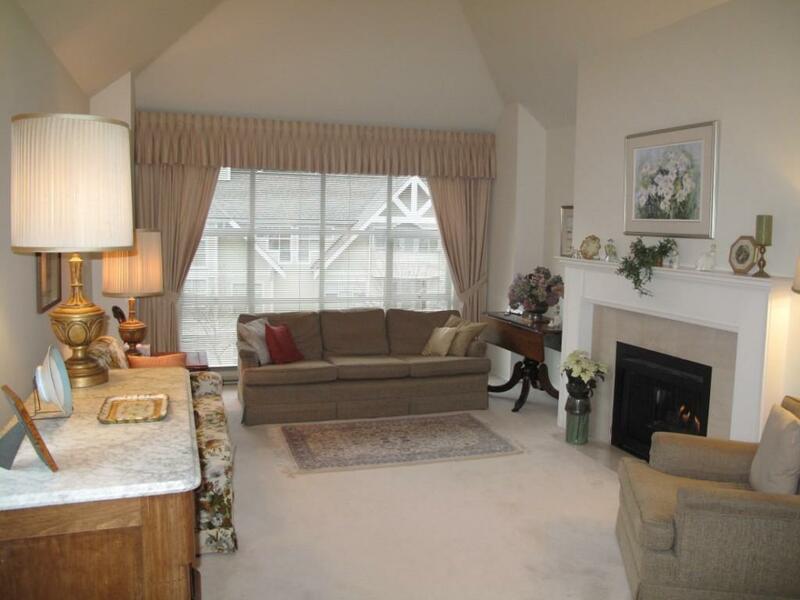 Seldom available...this quiet, private, top floor corner unit shows extremely well and offers 1,740 sq.ft. 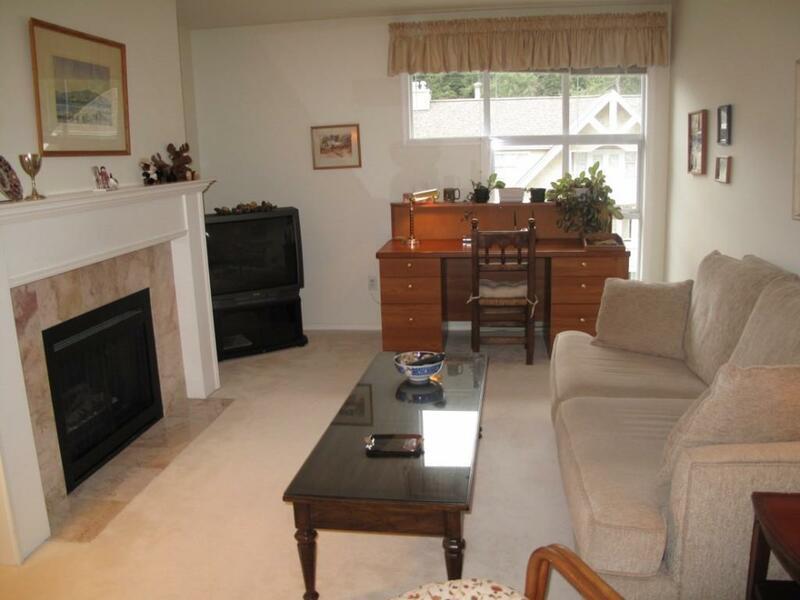 of gracious living area all on one floor. 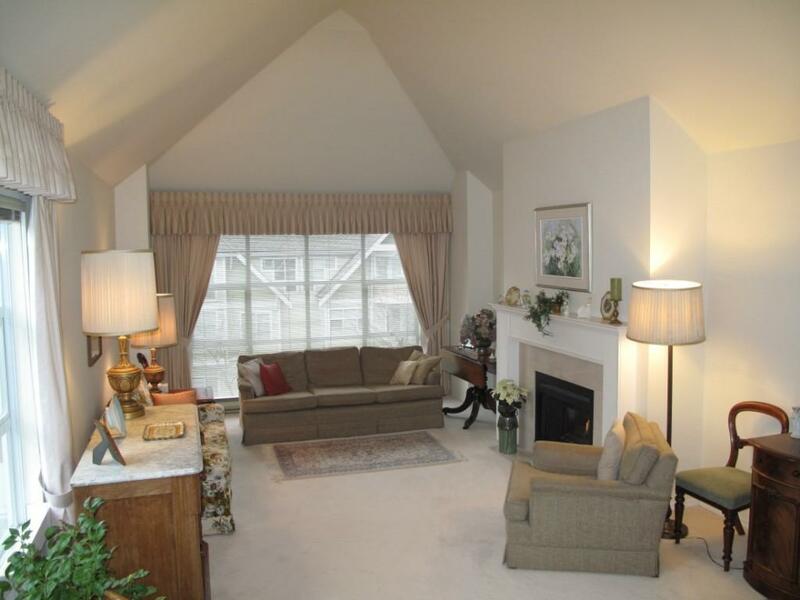 Vaulted ceilings in the living/dining room area along with a gas fireplace and French doors that open onto a generous private deck complete with outside storage space. 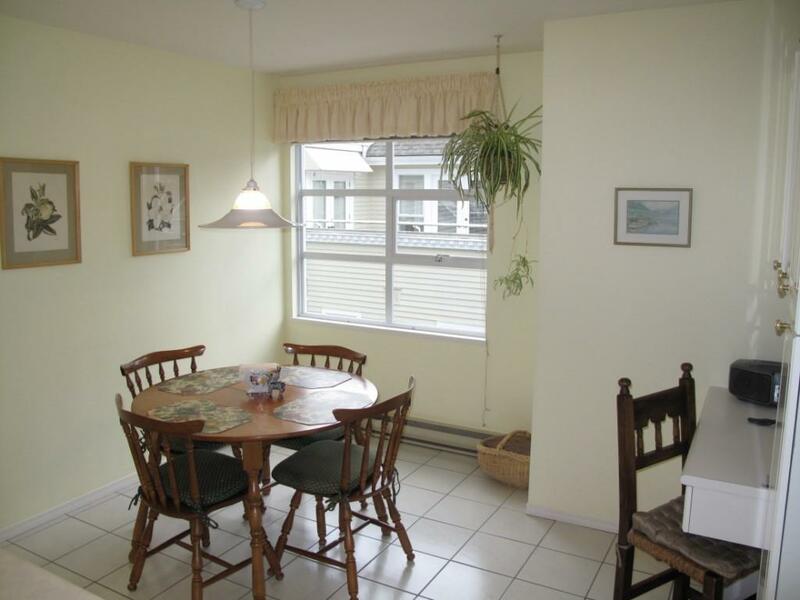 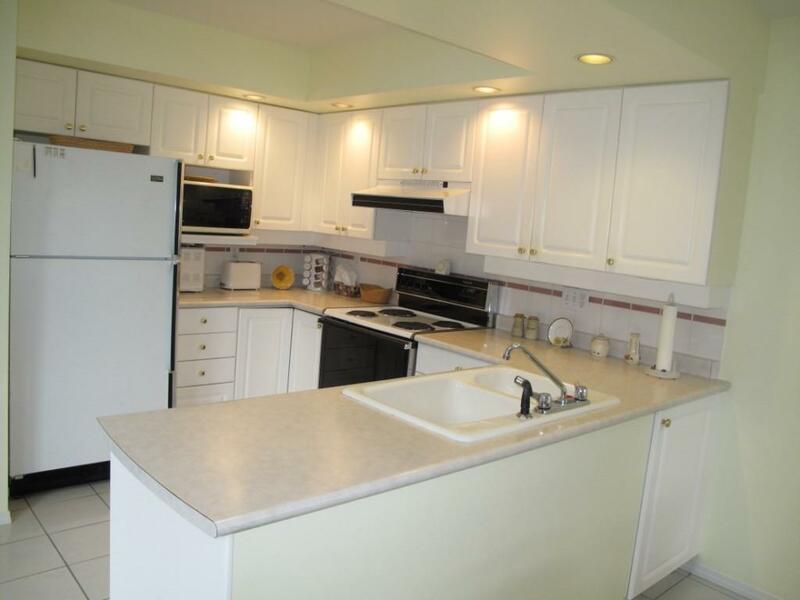 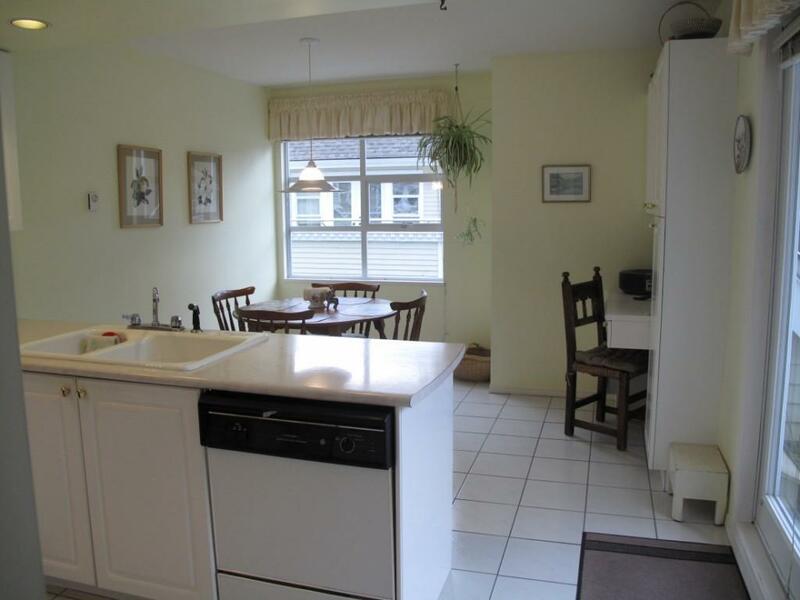 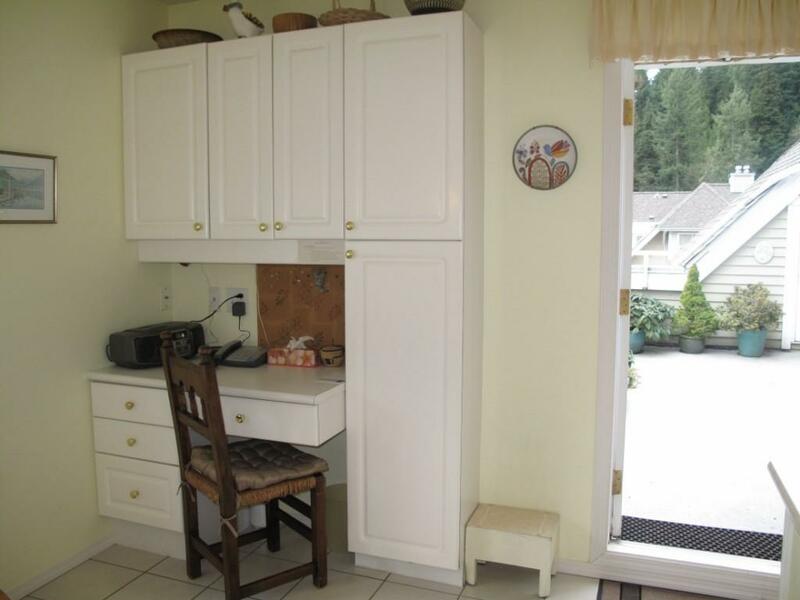 The large bright kitchen has cozy eating area, computer desk and also opens onto the south west facing deck. 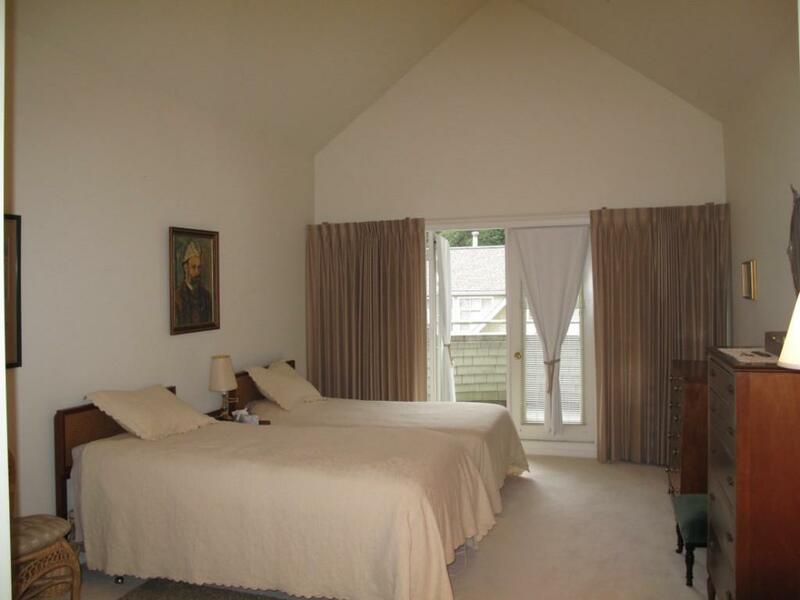 There are vaulted ceiling in the master bedroom, double cuboards and a four piece ensuite. 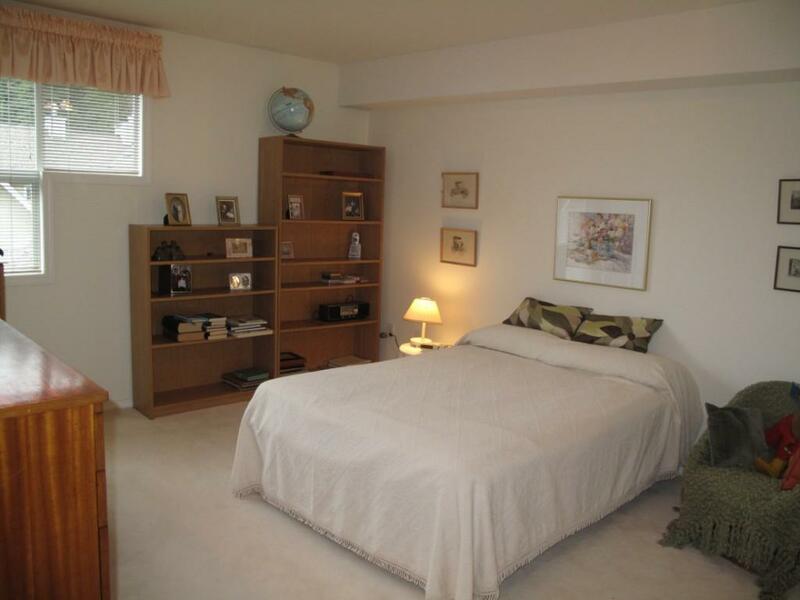 A spacious second bedroom.and a third bedroom or den also has a gas fireplace. 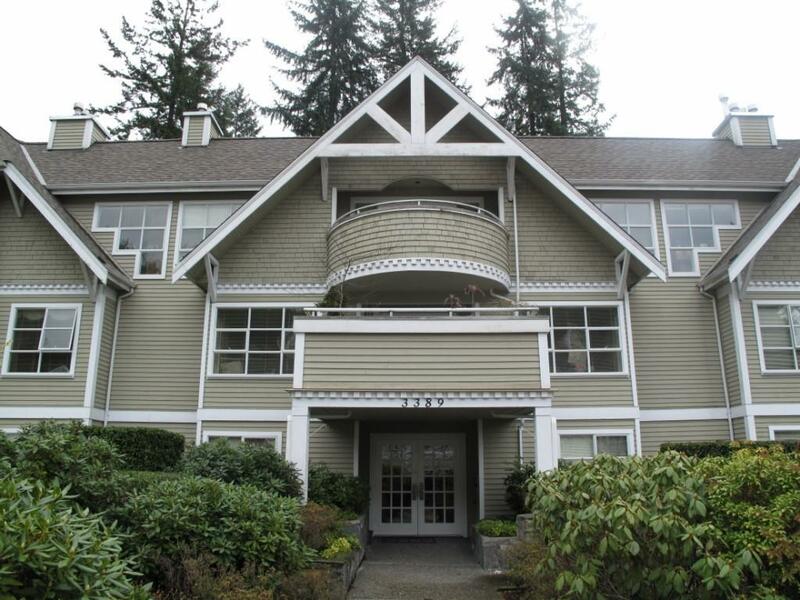 This unit comes with two parking stalls, insuite laundry, loads of storage and is in immaculate move-in conditions......it does not get much better than this!